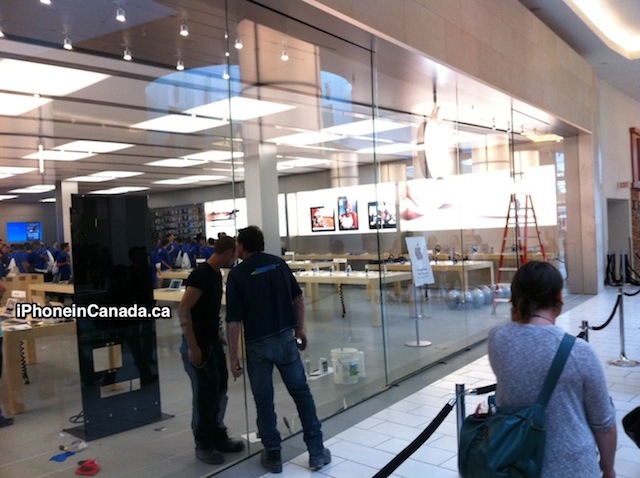 As we first reported back in April, Metrotown in Burnaby has finally received its Apple Store. We’ve documented the store’s progression and this afternoon the black boards have come down to reveal the completed store. As seen in the photos below, employees have gathered for its anticipated 10AM grand opening tomorrow morning. 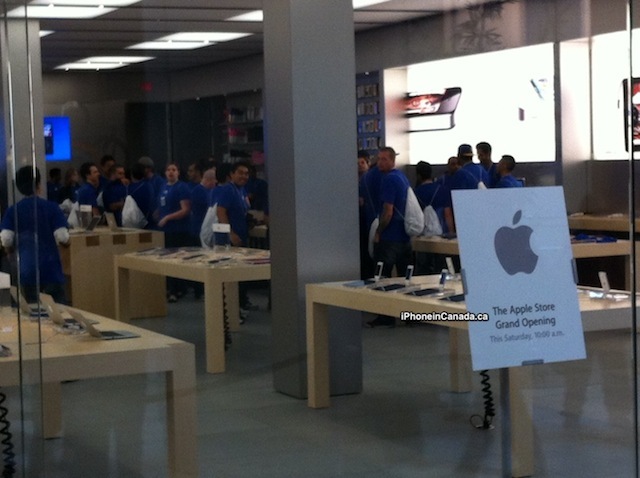 Apple Store employees are seen carrying white Apple Store bags. Our sources mention t-shirts are within these bags. The store appears to be getting some finishing touches. 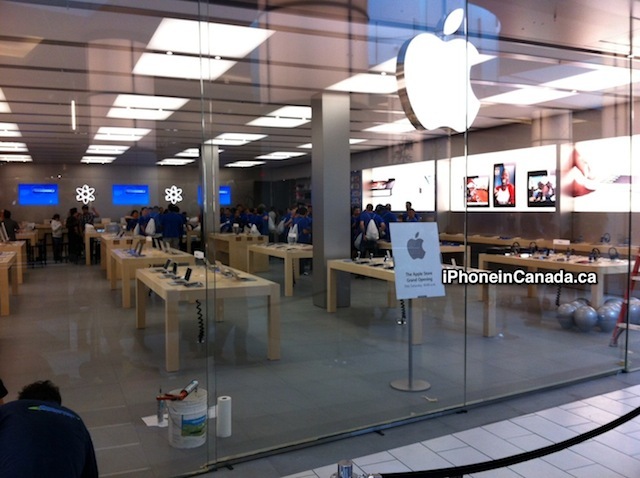 This is Metro Vancouver’s fourth Apple Store, and this one is inside BC’s largest mall. The first 1000 visitors tomorrow will receive a free commemorative t-shirt. 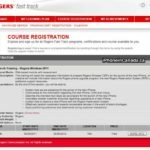 Who’s lining up? Be sure to send us some pics! Thanks to Greg for the pics!